Happy Labor Day Loves. I took a peek at Fall's past to get ready for the upcoming season and I gotta tell ya my pumpkin candle is burning as I type this with a little Frank Sinatra going and I COULD NOT BE MORE EXCITED! Here's to pumpkins, leaves, crisp cool air, apples, cinnamon, chili, football, cozy socks, blanket scarves, cider, EVERYTHING. 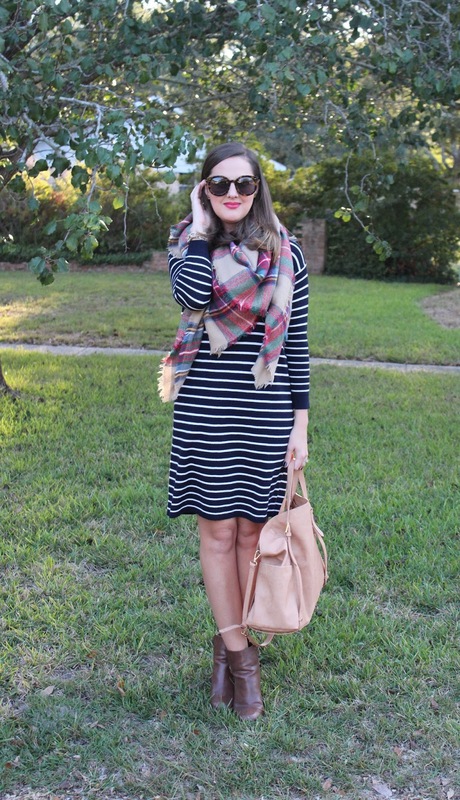 Stripes for Fall and of course the must have blanket scarf! Click the links for the full posts. I went through and transitioned my closet this weekend and I can't wait to style some of these pieces again this season and to add a few new items into the mix. What are you looking forward to wearing this Fall?